A financially savvy friend of mine asked me. 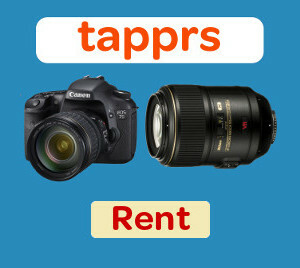 Few of you might know that I handle Tapprs as a hobby venture. break even period is about 75-100 days worth of rental which in calendar terms could work out to more than a year for a very successful rental shop and could take 3 years for those that aren’t as successful. In 3 years, the equipment could fall out of favor from the user crowd. My friend knew well that I hated capital intensive businesses and those that depend on volumes. My answer is – I don’t think of Tapprs as a good business idea. It is a hobby! I like travel and photography and hence wanted to do something related to it. The answer is Tapprs. It is more of an experiment and I am loving the lessons I am learning from it… even though I know it will never be a full blown business venture. I own a lot of equipment and I rent out those. I don’t think I will buy any equipment just to rent it out. Whatever I want to use, I will buy. And those.. will also fall into the rental pool. Hopefully, it will bring down my ownership cost. I am quite willing to face the possibility of losing any equipment due to rental damage. My original idea was to start a platform where people could rent out their stuff to others. However, I didn’t find many people who were willing to rent their photography equipment. And then there were other challenges. So, I dropped that idea for the time being and just put my own stuff on rent. But I would not allocate funds to sustain or run it as a business. I know I am better off investing the same in equities. However, I think a photography & travel equipment rental is an excellent value added service that a travel shop or a photography related business can run. Of course, the rental business will have to be subsidized by the main business. Well, I am not sure I will get into one… but you never know.